Landowners in Fiji’s northern division say they have not received any royalties from a bauxite mine run by Chinese company Aurum Exploration Limited since they consented to it in 2011. Food crops dying, drinking water contaminated, dead fishing reefs, what else is left to happen? 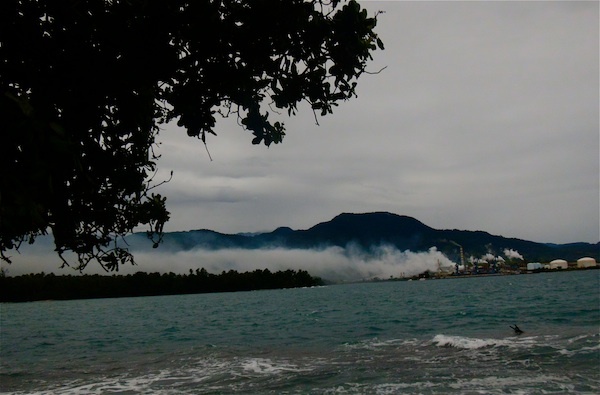 The people of Basamuk who are living with the Chinese Nickel Mine right in their face everyday since it started operations, are meeting their fate of having a FOREIGN MINER on their land and dumping into their sea. Some may say the effects are slowly kicking in but for Terry Kunning, a very outspoken Basamuk landowner, the effects are closing in way too fast for the people to adjust or adapt. “In fact it is impossible for anyone to adjust or adapt in a situation like this,” Terry said. “It is not double trouble, it is trouble way over our heads because our crops are dying after the continuous gas release from the mine sinks and settles on them, and the sea turned red again after the chemical spill at the beginning of March, so where are we supposed to go to?” said a very worried Kunning. Basamuk is an island in the Basamuk Bay of Madang Province and the people’s livelihood like any other islanders, depends entirely on the sea for traditional medicine, bathing, transportation, and for fish to eat and to sell for money for school fees, health care and other basic necessities. According to the villagers, the sea has turned red once again as a result of the recent chemical spill, causing some more reefs to die out, killing some fish and scaring the others away. The people say that they are aware that the fish they catch and eat are most likely to be contaminated, but they eat them anyway because that is their only food. As well as that, like any other islanders, the Basamuk people collect rainwater for drinking. However as of last year they have witnessed patches of black substances never seen and experienced before on their rooftops after strong winds, which often take place every afternoon and night and on bad weather days. Now the rain that falls onto their roofs, into the gutters and into their tanks and everything else that they use to collect their drinking water with, has been washing that substance into their drinking water ever since. As it is with the fish, the islanders are still drinking the water they collect, because that is all they have for drinking. Food plants in their gardens are withering and drying out, and if they do bear food, it is either malnourished or has a lot of sores. They said they are often left with very little of a taro to eat, because that’s all they are left with after cutting out the sores. Mind you, they have some of the biggest taros grown on the island; one taro can feed two adults or four children in a meal. Like the fish and the drinking water, their garden food is most likely to be contaminated as well, but they still eat it because that what they have for eating. If their garden foods are dying, their drinking water polluted, their fishing reefs destroyed, then where are they suppose to get their food and water from? Off course there are stores but where do they get the money to buy food and water because after all, they say they haven’t seen any form of real benefit that can be seen as real development from this Chinese miner. Even at this time with what they’re going through, the people say the Chinese miner, aka the ‘developer’ hasn’t called in with any supplies of any kind to help the people it claims to be bringing development to. As the people put it, ‘What is development? The development we’re getting, is this new cursing experience’. NEWCREST Mining Limited is committed to working with landowners in Lihir to ensure long term sustainability of its operations and the continuation of benefits, country manager Peter Aitsi says. 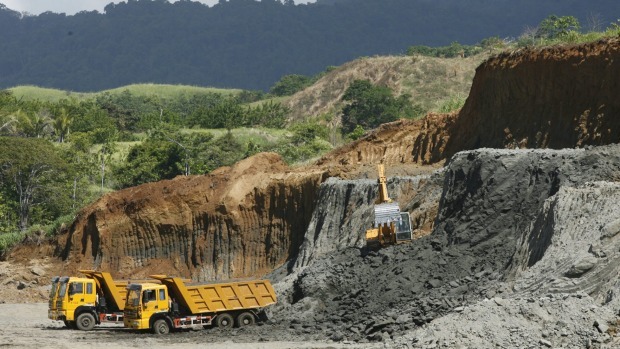 He said this following concerns raised by Lihir Mining Area Landowners Association (LMALA) chairman James Laketan that the Australian miner had intentionally left landowners out in core activities at Lihir, which included a shipping contract that was tendered to outside companies. Laketan had said the loss of business was an example of the developer’s lack of consideration of its commitments to landowners. He added that there were other examples of the developer’s failure to acknowledge past agreements, which were now putting Lihir business at risk. Aitsi said however Newcrest through its subsidiary Lihir Gold Limited (LGL) had been regularly meeting with its suppliers including landowner companies to work proactively to improve the capacity of these organisations and improve on the efficiency of their services to its operations. “LGL has not terminated any contracts; at this stage Lihir is undertaking a comprehensive review of all of its contracts,” he said. “We are working collaboratively with our suppliers – local, national and international – to improve their costs and competitiveness. “As a result of the global down-turn in the resource sector, LGL like other mining companies in PNG and around the world are looking to drive greater efficiencies through their operations. Aitsi said that agreements reviewed under integrated benefits package 2 concerning existing landowner benefits package in relation to the mine continued to be recognised by the miner and still remained in place. Why is PNG and its people always the last to benefit from its own resources? Could it be because we are blindly following a model of development that is being imposed from outside by those who take all the profits? If small cap mining companies are looking for a template for success in an environment of weaker commodity prices they should look no further than Highlands Pacific, whose stock had doubled in the past month and is now up 50 per cent since the start of March. The rise of the Papua New Guinea-based company’s fortunes is an education on how a management team led by John Gooding has managed to squeeze value out of a number of projects in which it holds minority interests. Patersons’ mining analyst Matthew Trivett called the stock a spec buy at 5.7¢ back in February. Highlands is now trading at 9.5¢ and has a market cap of $87 million. Trivett thinks it will go further based on the company’s strong financial and strategic position. “Highlands’ management has been skilful in keeping minority shareholding in key projects; dealing with Chinese partners; and generating deals that create immediate value for its shareholders,” he said. Demand coming from a giant manufacturer also helps. 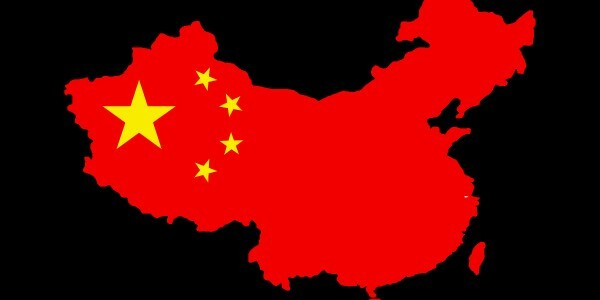 The copper price has fallen about 10 per cent this year, but it appears that Chinese interests are determined to get their hands on copper concentrate, which is still essential for electronic componentry. Highlands Pacific’s most notable minority holding is its 20 per cent stake in the PanAust-controlled Frieda River copper/gold project in PNG. This asset is the reason behind the $1.1 billion takeover offer last month from the Chinese investment company Guangdong Rising Assets Management (GRAM). 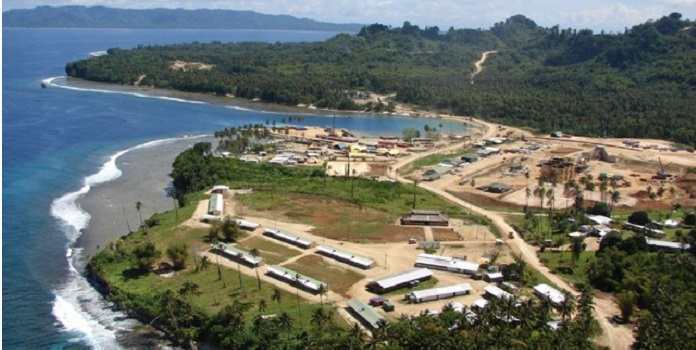 Not only does Highlands Pacific own 20 per cent of the Frieda project, it also has a minority position of 8.56 per cent in Ramu Nickel, also in PNG, which is owned and developed by Chinese interests, which have so far spent more than $2 billion. Plus, unlike most mining juniors, it secured $10 million from the mining giant Anglo American to farm into its Star Mountains copper/gold project (also, you guessed it, in PNG). Anglo will spend another $25 million to secure 51 per cent of the project. Simberi Gold company mining operations are at risk after landowners at the New Ireland mining camp placed “gorgor” plants at the pits. To New Irelanders, posting the ‘gorgor’ leaves is like forbidding activity at the site. According to local sources the dispute and gorgor threat is due to some unsettled issues the company is having with the landowners. Sources on Simberi claimed the gorgor had forced the company’s hand and had caused a stoppage. The mine is on the Simberi island in the Tabar group of islands within the Namatanai electorate. The Loop spoke late today to a company executive who denied any disruption to mining operations but agreed there was a dispute with landowners. He declined to be specific about the nature of the dispute. He did say that the company respected the posting of the gorgor, but that mine operations were continuing as usual. The Simberi mine is owned by the St Barbara company, which has recently run into troubles with its Gold Ridge mine in the Solomon Islands. The company’s most recent report to the stock exchange, for the March 31 quarter, was positive, saying production had picked up and profit margins were improved. Also, digging for prospective nearby ground was looking good. 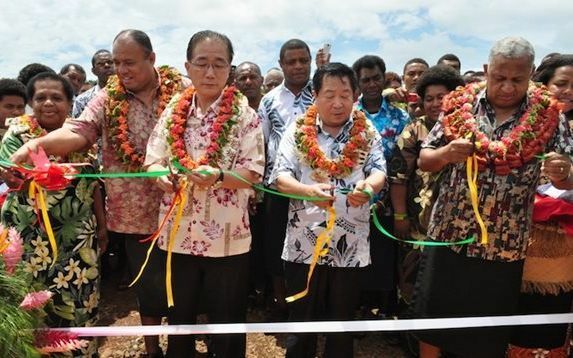 The Chinese company Aurum Exploration Limited has almost completed mining at the site in Nawailevu, which has produced almost 1 million tonnes of bauxite. The Sodelpa MP Mosese Bulitavu says the company has only paid $600,000 so far in royalties to the Lands Department, which still hasn’t been handed over to the landowners. And he says the company still owes another $1.5 million in royalties. Mosese Bulitavu says at least 300 signatures have been gathered so far. The same company has just commenced mining at a second site in Leketu and was just recently issued a lease for a third bauxite mining site at Dreketi.